When designing curricula for the modern classroom, even the best teachers need a blueprint. Coursetune supports teachers in building curricula in a visual and collaborative way, doing away with ineffective approaches and so-called “curriculum rot.” Co-founder and CEO Maria Anderson shared a product demo and engaged in a discussion about current and future Coursetune users at the EdLab seminar in November 2017. 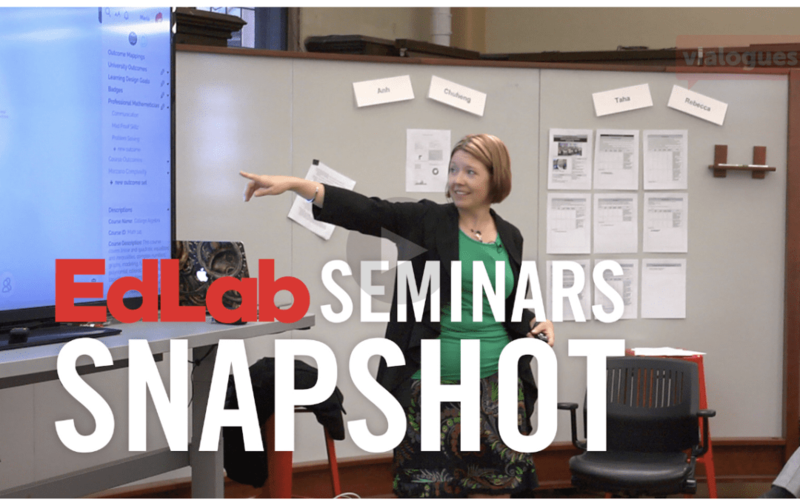 Watch the full seminar to Teachers College Columbia University on Vialogues. Read New Learning Times full synopsis of the event here. @02:00 Thomas Anderson: LMSs don’t really support the building of learning experiences. @08:22 Brian Sweeting: Curriculum design needs to take into account big picture ideas and outcomes.